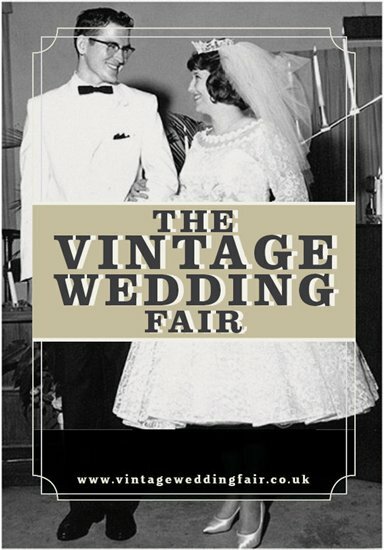 'Discover Vintage' is the founder of The Vintage Wedding Fair which takes place in Harrogate, London, Leamington Spa, Chester and Bath. A fine collection of vintage wedding dresses, antique lace, 1930s and 1940s lingeries, classic suits, jewellery, vintage cars, specialist entertainment, cakes, floral displays and decorations. Something my friends would be interested in. Too bad they don't live in the UK.